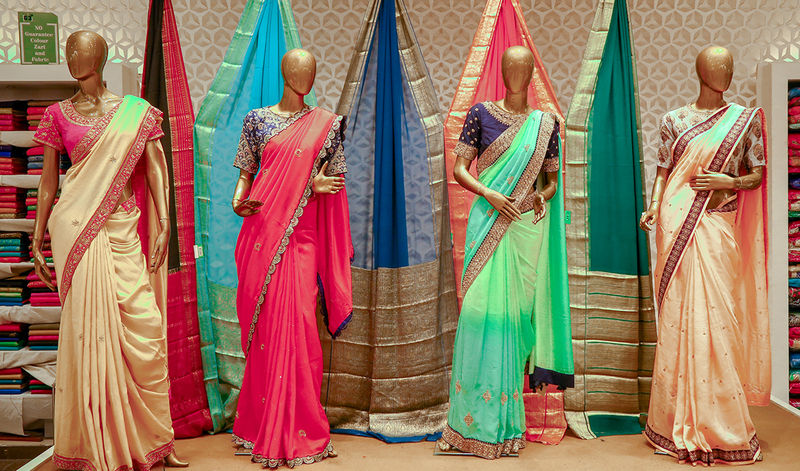 It’s time to change your shopping techniques for sarees online! 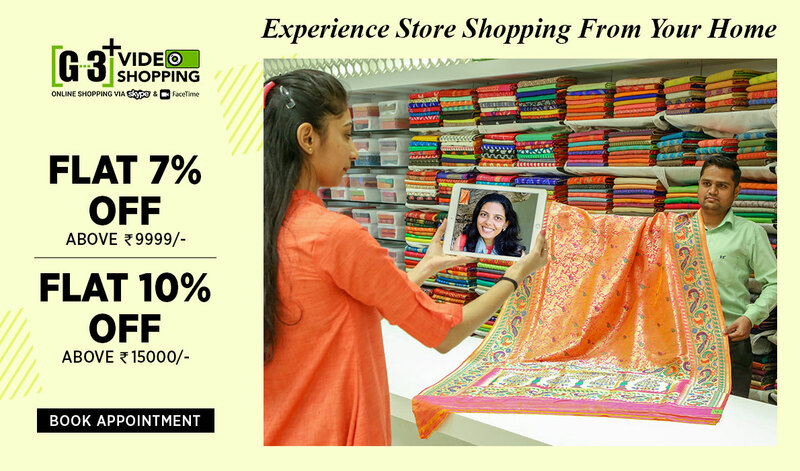 Ditch the old way to visit a store or two and then select your saree, Try the Virtual LIVE Video Shopping for Sarees by G3+ Fashion. Shop smart and effortless with G3+ Video shopping service for sarees in all kinds directly from our retail store in Surat, G3+ Ghoddod Rd Sutaria. We provide you a wide range of over 7000+different saree styles to choose fro wedding wear, bridal wear sarees online or party wear sarees online by Video Call and many more in casual wear or festival wear. 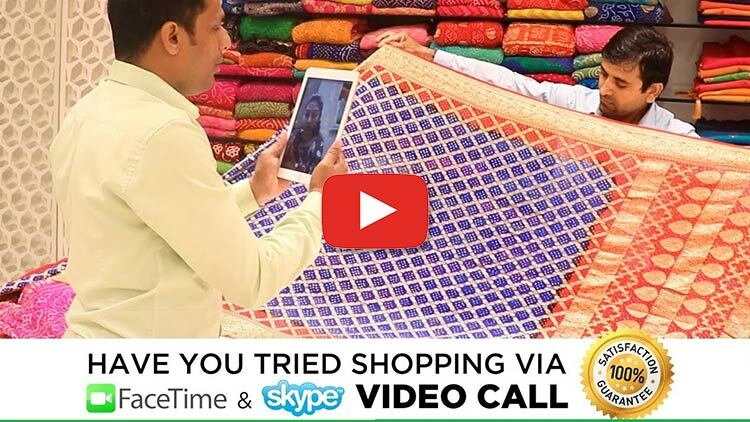 Save time with our effective interactive Live shopping service by connecting on Facetime or Skype Video call for Sarees Shopping Online from India. 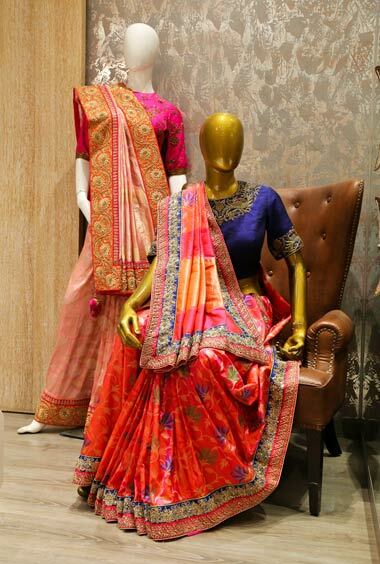 Buy online Ready to wear sarees or the wedding wear saree, we got you covered for fittings, alterations and custom tailoring service for special requests and also provide expensive premium sarees shopping online on video chat to gain trust before you place online orders. The service includes so many advantages to shop on video call rather than website shopping. 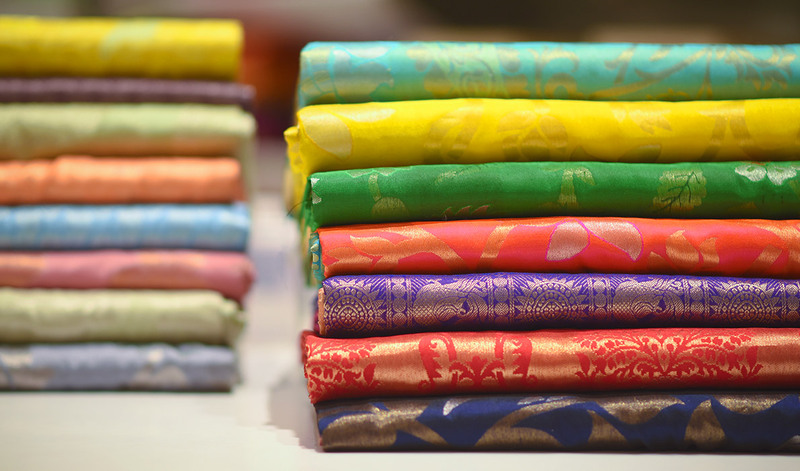 You get to see Saree colors which is on Live Video call, so you know what you are buying. You get to see and know the fabric and embellished detail closely on video call to know the quality you are paying for. You can choose from wide range of sarees online video shopping collection is which is available at the physical store to gain maximum trust of delivery and prepayment process. You can get your blouse stitching services for sarees you buy online with G3+ Video shopping. You can get fast dispatch and delivery for products available at store in Ready to Ship Categories. 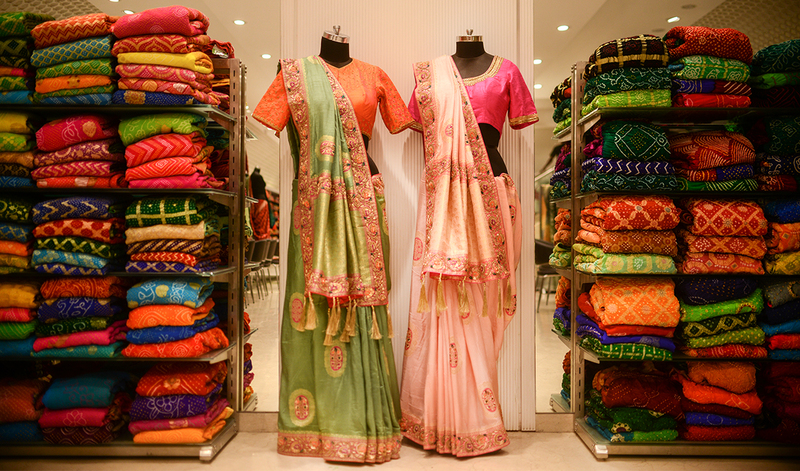 Shop Wedding Sarees & Bridal Sarees with G3+ Video Shopping Service. After all the plus points of Saree video chat shopping online, we just want to give you more details of the collection of wedding wear sarees and bridal sarees for video call shopping. 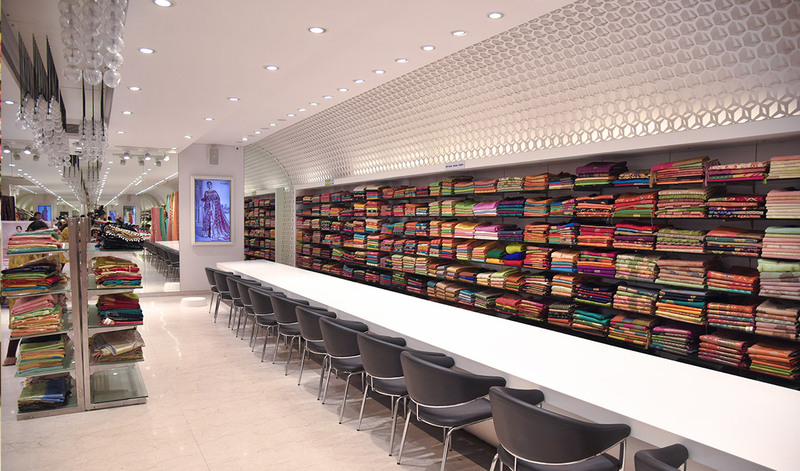 Our store experts will assist on video call for saree purchasing from India or from anywhere in India too, guiding you in trends, fashion and more categories options to shop for wedding or brides. We can shop for Gujarati Panetar Saree on Video call from India’s Best online store G3+ Surat without coming to the store, or choose heavy bridal embroidered Banarasi saree, or Kanjivaram saree, we have all kinds of bridal sarees in different prices segments. Get your hands on Latest wedding silk sarees, wedding sarees in work concepts, wedding saree in saree gowns or readymade sarees or choose wedding guest sarees in all types of colors, fabrics and concepts. 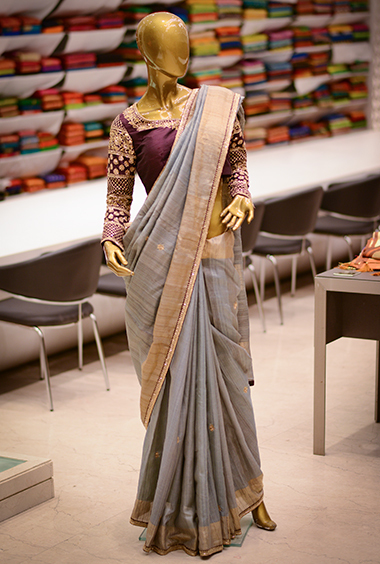 We offer the best party wear sarees for Live video shopping, in fabrics, pattern, style, color to embroidery types. 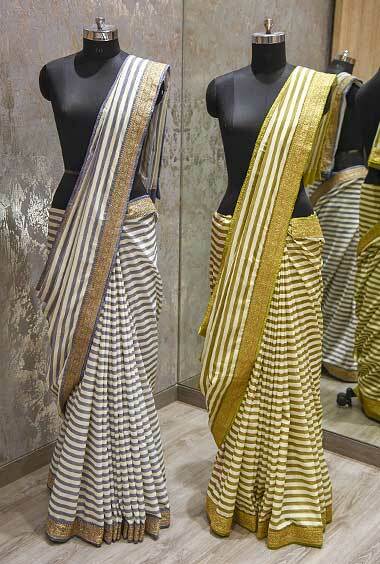 Go for Black party saree, gold silk party saree, saree gowns, silk sarees or parties or embroidered concepts of sarees. 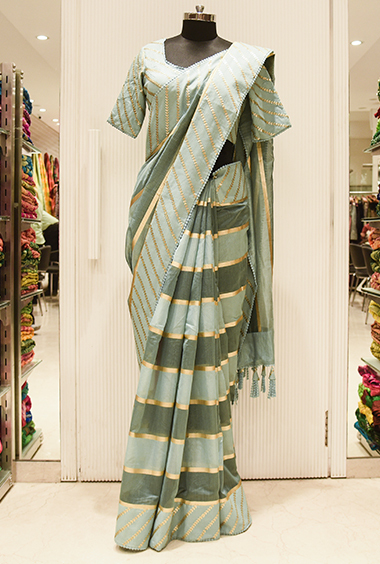 Buy casual sarees in plain cotton or linen, or choose printed and fancy saree designs for festivals. Choose festival party saree for Diwali, Pujas, Navratri while sitting in USA, UK, Canada, Australia, Singapore, South Africa, UAE, New Zealand, Mauritius and many more from G3+ Video Shopping for Sarees. 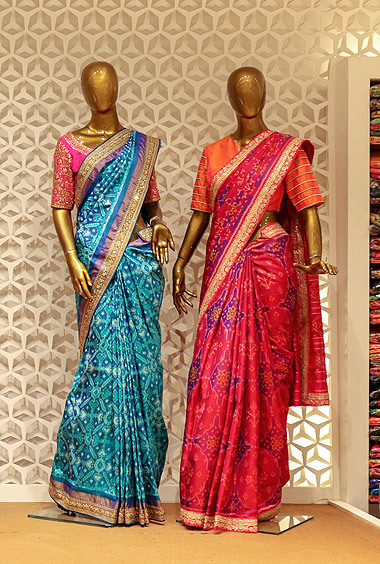 Choose trendiest sari online on video call at G3+ Surat, India by just simple steps to register appointment to shop with personalised service that we offer.